The suspect in the random slashing of a woman walking to work in Manhattan early Wednesday morning was nabbed after a passerby on the street spotted him in the same distinctive Cleveland Indians baseball jacket he was wearing at the time of the attack. After watching the news Wednesday afternoon, the tipster was walking on Fifth Avenue near St. Patrick's Cathedral when he saw a man wearing the same jacket in the surveillance video of the attack, acting erratically, according to NYPD Chief of Detectives Robert Boyce. He alerted nearby mounted unit NYPD officers, who arrested the suspect and brought him into the 13th Precinct stationhouse for questioning, Boyce said. The suspect, Kari Bazemore, a 41-year-old man from the Bronx, has 31 prior arrests, mainly for jumping turnstiles and more recently, two incidents of forcible touching, according to Boyce. He had no history of violent attacks on record and was not on police's radar in the slashing. The suspect in the random slashing of a woman walking to work in Manhattan early Wednesday morning was nabbed after a passerby on the street spotted him in the same distinctive Cleveland Indians baseball jacket he was wearing at the time of the attack. 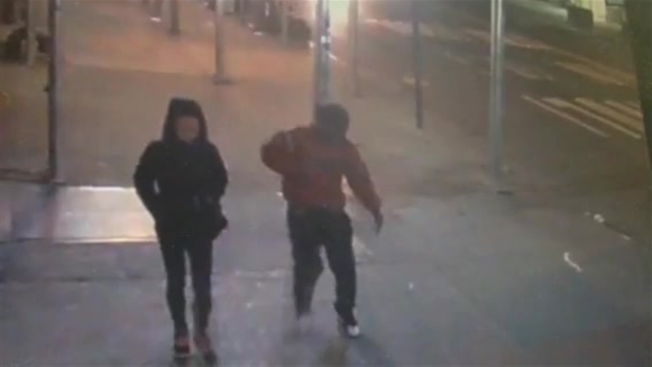 Police are looking into whether he may be the same man who slashed another young woman in the face on New Year's Day, in that instance near Bruckner Boulevard in the Bronx. Michael George reports. Bazemore is accused of slashing 24-year-old Amanda Morris in the face as she walked to work in Chelsea Wednesday morning. 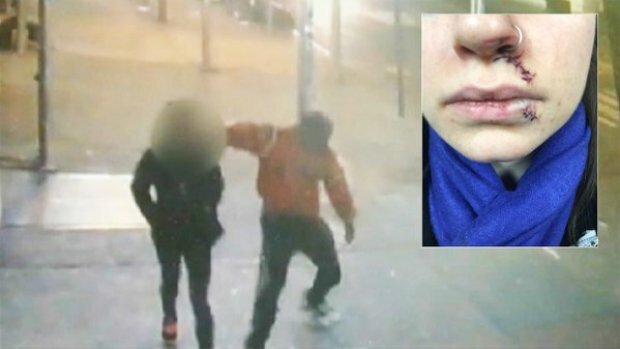 The shocking attack was captured on surveillance video. Morris told NBC 4 she was walking when she noticed the man in front of her changing his pace. 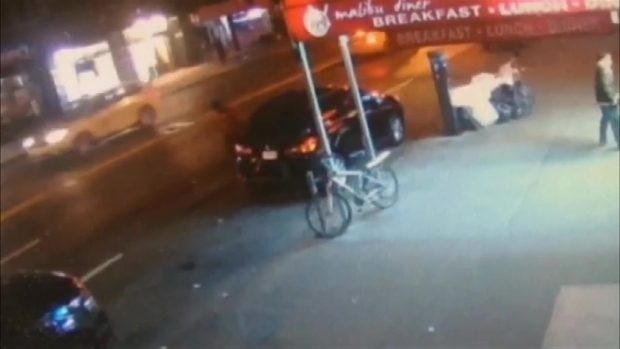 She tried to quickly get past the stranger on the sidewalk, and that's when he struck. "I thought that my nose was broken and I was freaking out," said Morris, who wasn't sure whether the suspect used a knife or razor blade. "It felt like being hit in the face with a baseball." Police are looking into whether Bazemore may be the same man who slashed another young woman in the face on New Year's Day, in that instance near Bruckner Boulevard in the Bronx. There was no public record of mental illness in his prior arrests but his family told investigators he has mental issues, Boyce said. He was being held at Bellevue Hospital Thursday night. Attorney information for him wasn't immediately clear. Police were still looking for her attacker as of late Wednesday night. Brynn Gingras reports. Meanwhile, the cops who nabbed Bazemore earned praise from NYPD brass, including top cop Bill Bratton. "Great police work by #Mounted PO Ogunade & "Clyde" apprehending the perp from the slashing yesterday in #Chelsea," Chief of Special Operations Harry Wedin tweeted. "Nice job by @NYPDMTN & @NYPDSpecialops cops apprehending the man who allegedly slashed a woman. Thanks to our community partner for the tip," tweeted Police Commissioner Bill Bratton. The victim Morris suffered bruising on her nose and cuts on her upper and lower lips that required seven stitches to close. She told NBC 4 after the attack: "My gut instinct told me something was wrong. But I didn’t think anything would happen because you don’t think these things happen." Nice job by @NYPDMTN & @NYPDSpecialops cops apprehending the man who allegedly slashed a woman. Thanks to our community partner for the tip. Woman Randomly Slashed in Face: "My Gut Told Me Something Was Wrong"
The victim says she was walking to work this morning when a man approached her and attacked without warning. Marc Santia reports.